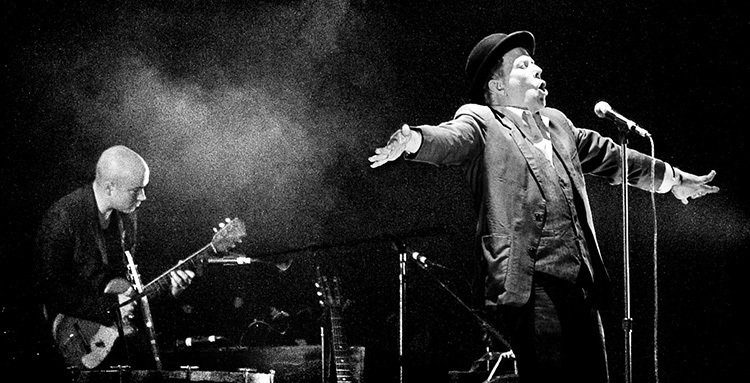 Glitter And Doom: Tom Waits In Concert Recorded at Atlanta's historic Fox Theater on July 5, Waits delivers a stunning and epic two-and-a-half hour performance, including songs he says he's never attempted outside of the studio before. For his Atlanta stop, recorded at the city's historic Fox Theater on July 5, Waits delivered a stunning and epic two-and-a-half-hour performance, including songs he says he's never attempted outside of the studio before. Backing Waits is a five-piece group featuring Seth Ford-Young (upright bass), Patrick Warren (keyboards), Omar Torrez (guitars), Vincent Henry (woodwinds) and Casey Waits (drums and percussion). "They play with racecar precision and they are all true conjurers," Waits says. "They are all multi-instrumentalists and they polka like real men." 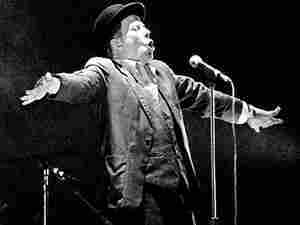 Waits wraps his tour with seven stops in Europe, including his first-ever concerts in Spain and the Czech Republic, with a finale in Dublin on Aug. 1.